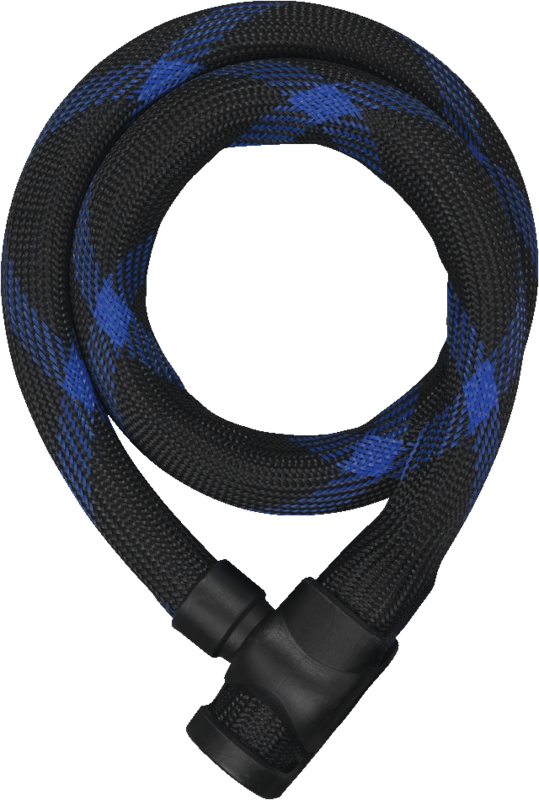 A cable lock which not only acts as a deterrent with its solid-looking cable, but is also flexible and durable. A practical lock with a thick cable deters thieves. Because the body and structural parts of the locking mechanism are manufactured using specially hardened steel, the IVERA Cable 7220 is extremely robust. Cable locks are ideal for securing low-range bicycles against theft. In addition to flexibility, the main advantage of a cable lock is its low weight. Because the 20 mm-thick cable of the ABUS IVERA Cable 7220 is coated with a durable synthetic fibre, the bicycle's paintwork remains intact with this lock. The ABUS IVERA Cable 7220 Cable Lock is available in different lengths.